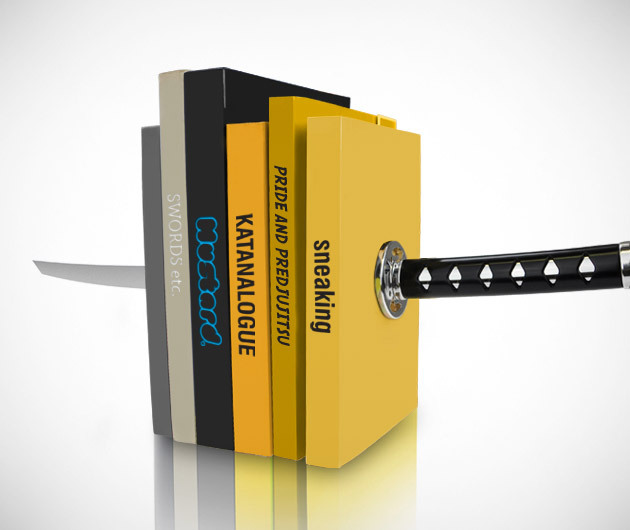 A nice take on the whole "the pen is mightier than the sword" concept, the Katana Sword Bookends will certainly attract some double takes. Based on the weapon of choice of ancient Japanese warriors, one end boasts a shiny black polished handle, the other a gleaming blade. Add a touch of ninja flair to your desk or bedroom shelf.